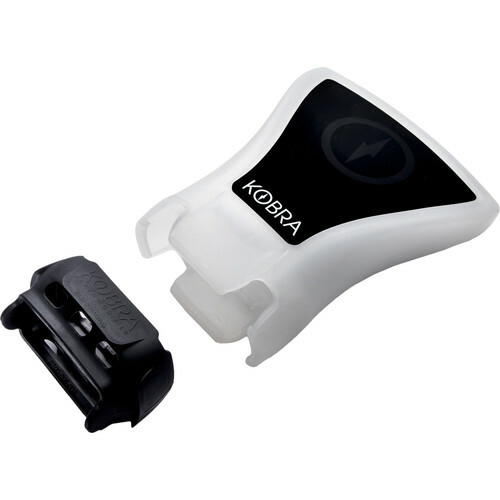 Designed to take the harsh edge off the output from your on-camera speedlight, the KOBRA Flash Modifier Kit is a flexible, translucent silicone diffuser that folds down to half its open size to stow in your camera bag. Ideal for any kind of event photography, groups or portraiture, the secret of the Modifier's soft, flattering quality of light is the patent-pending, built-in reflector that bounces the light forward through the translucent silicone diffuser, acting as a second layer of diffusion. The Modifier attaches to the flash using the sturdy silicone band, which fits most flash heads. Compatible units include Nissin, Canon, Phottix, Sunpak, Nikon, Sony, Yongnuo, Sigma, and Godox. Box Dimensions (LxWxH) 10.35 x 8.3 x 3.0"